Fitness Arena also has a Ladies Only Gym to facilitate our female clientele. Recently extended and renovated, the Ladies Gym has a number of cardio machines such as treadmills, rowers, cross-trainers and bikes as well as many weight machines in a circuit specially designed to keep you toned all year round. We have highly motivated and caring personal trainers and team members will guide you as you achieve your personal goals. We also offer group fitness classes throughout the day to accommodate your busy schedule. Best of all, you will be able to improve or maintain your fitness level while enjoying the company and support of other women in a club created for women, by women. 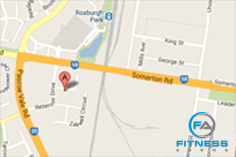 The ladies gym is also open 24 hours to suit all our busy mums and working females.